LONDON, Sporting Alert – The race for the English Premier League title heats up this weekend as the leaders look to wrap up the crown without Jamie Vardy again on the road. There are six games slated for Saturday, but the bulk of the attention will undoubted be on Sunday at Old Trafford where leaders Leicester City will try to wrap up the title race on the road. 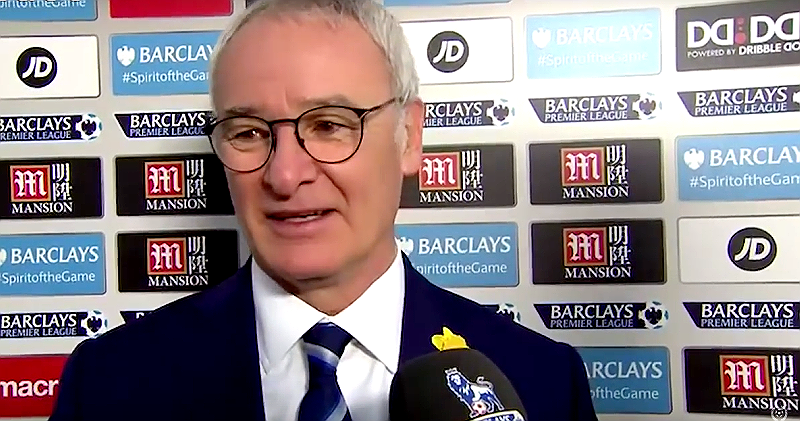 “It is important for us to make a perfect game,” Ranieri said. “The best away performance of the season, we have to do it. “It is good we are doing something special. And of course I am very proud for everybody in Leicester, for our community. “There is a good feeling about this story, but it is important to finish the story like an American movie. Always in the final it is OK, a happy ending. A victory for the Foxes over the Red Devils Sunday would see them lifting the English Premier League crown for the first time in club history, which would be a remarkable feat, seeing that they had to fight off relegation a year ago to stay in the top flight. The Manchester United players, and indeed most of the teams in the EPL believe Leicester City deserve to win the title this year, but midfielder Ander Herrera says the home side is still in the running for a top-four spot and warns the visitors that they probably need to hold off the celebrations until they play their other game. Keeping a close eye on this fixture will be second place Tottenham, which doesn’t play until Monday when it travels to London rivals Chelsea. This means that if Leicester City collects three points at Old Trafford, Spurs would be entering their fixture already knowing that they can’t finish any higher than second place. Meanwhile, the battle for survival will also get lots of traffic, as Sunderland, Newcastle United and Norwich City fight to avoid following the march steps of the already relegated Aston Villa in the Championships next season. Livescores will be available on www.livescores.com, while Live TV channel and streaming listings will be available at www.LiveSoccerTV.com.